Following the release of their new branding in July, bulk material handling and automation specialist, Spiroflow, has announced the launch of a new website. The new website features a fresh, modern design for a worldwide audience and provides users with faster and more complete access to critical information and solutions. 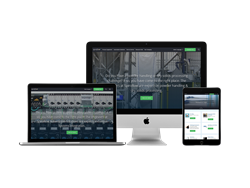 The site is designed to provide visitors with a resource that enables them to solve problems they might be experiencing with their current powder handling processes. It is also designed to inform visitors about how they can automate new, or update existing, control systems and processes. 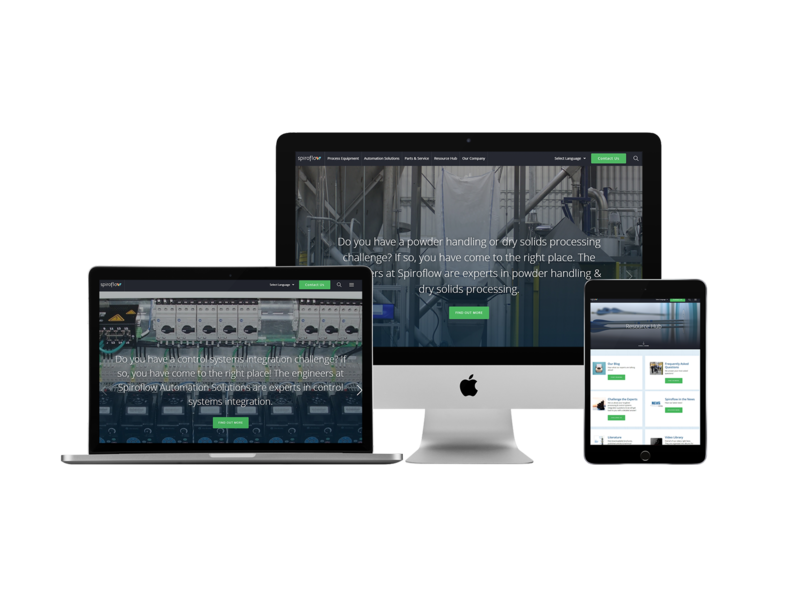 Following the release of their new branding in July, bulk material handling and automation specialist, Spiroflow, has announced the launch of a new website. The new website features a fresh, modern design for a worldwide audience. It sets a new benchmark in the industry and provides users with faster and more complete access to critical information and solutions surrounding dry bulk material handling and automation. Visitors will find new photo galleries and videos throughout the site. Key features include a dynamic content rich homepage and navigation bar for direct access to process equipment, automation solutions, parts & service, and a resource hub. The resource hub connects visitors to additional content from our blog, FAQs, news releases, literature, video library, and case studies. “We wanted this new website to meet two primary objectives. It is designed to provide visitors with a resource that enables them to solve problems they might be experiencing with their current powder handling processes. It is also designed to inform visitors about how they can automate new, or update existing, control systems and processes. There is also expanded content on after sales support and commissioning which shows how we help customers far beyond delivering a product,” said Spiroflow’s co-chairman and CEO, Jeffrey Dudas. “Ultimately we always want our customers to feel confident about their choice. The new website has greatly expanded content organized so that visitors can consider solutions to their toughest bulk material handling and automation challenges and ultimately make more informed purchase decisions,” he added. Spiroflow delivers engineered solutions designed to solve powder handling and processing challenges through the US-based Spiroflow Systems, Inc and UK-based Spiroflow Limited business units. Together they provide the safest, most efficient, innovative and most reliable process solutions available to customers all over the world. Spiroflow bulk material handling and powder processing equipment solutions include the widest range of mechanical conveyors in the industry and an expansive line of bulk bag fillers, bulk bag dischargers, control systems, bulk bag conditioners, customized hoppers, bin activators, and bin, bag, box and drum emptiers. US-based Spiroflow Automation Solutions, Inc. is a full-service industrial control, networking, and automation provider. This business unit’s goal is to provide their customers with processes that work smarter and more efficiently. This is accomplished by providing highly efficient and cost-effective automation solutions. The company has offices in Monroe, NC, Cleveland, OH, Chicago, IL, Greer, SC, and Orlando, FL. Primary markets for all Spiroflow business units include the food, dairy, snack food, confectionery, beverage, pet food, pharmaceutical, packaging, industrial, chemical, plastics, minerals, cement, environmental, waste, recycling, themed entertainment, paint/finishing and pulp and paper. To learn more visit spiroflow.com, email sales(at)spiroflow(dot)com or call (1) 704-246-0900.